4 Quick Tips to Get Things Done! If you’re anything like me you might work off of a “To Do List”. This is how I prioritize and organize my day. I do not feel accomplished until things get checked off my list. I am a very goal oriented person, and it motivates me on a day to day basis. One of the goals on my personal “To Do List” is to run a 5k. 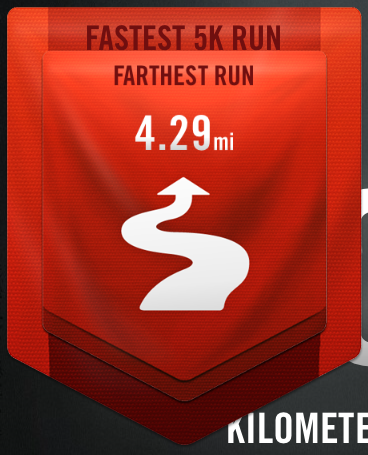 I’ve never been much of a runner, but you can be certain I am trying. So how do we set realistic and achievable goals? Here are some tips and tricks I use to help me create a game plan to reach my goals. DETERMINE YOUR GOAL: The first step is to determine what you’re striving for as the end result. It can be anywhere from big project at work to running a 5k! CREATE A TIMELINE: To keep yourself from getting overwhelmed, make a timeline for yourself with a lot of incremental deadlines. Giving yourself a lot of task related deadlines, will help you battle little pieces of the project at once. It will prevent you from getting overwhelmed and procrastinating. Make sure your timeline is realistic. You may think you work great under pressure, but let’s be honest, the new product you’re working on for your members will probably come out a lot better if you don’t cram all the work into it the week before you launch. It gives you time to review things and make sure you roll out your best work! That’s like me thinking I can run a 5k in 30 minutes if I practice for a week… It’s not going to happen! Instead, I have an 8 week program that will help me to attain my goal. ESTABLISH ACCOUNTABILITY: If you can hold yourself accountable to meet your deadlines – GREAT! If not, you may want to look for a colleague or mentor who can help hold you accountable. When my alarm clock goes off at 5:30 to go running I know I have to get out of bed, or my running partner/co-worker/teammate will not be happy if she shows up to run by herself… it also might not leave her in the best mood to work with all day, and nobody wants that! 🙂 We hold each other accountable to make sure we are doing what needs to be done to reach out end goal! WORK HARD: Take pride in the work that you do. This will have your name on it, and represent the work that you did. I don’t want to present anything to my colleagues that I am not proud of. I want to know I did my best. I will be open to constructive criticism, but I need to know going in that I did the best I could. Sometimes I am my own worst critic. I recently created a new product for one of our national associations, and even though I tried my best I didn’t think I was the best person for the job. Imagine the exhilaration I felt, when my boss was extremely complimentary of my hard work! It filled me with confidence for the next project! I use these steps for every goal I have – whether it is small or large. Each day that I complete a run, and make it through the training program I am proud of myself. I am only three weeks in, but I have already seen progress. 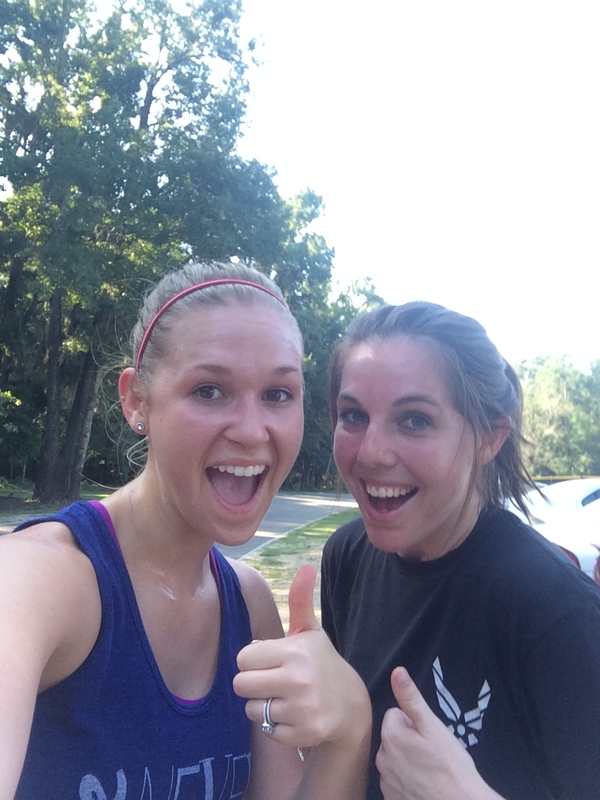 I know that by the end of week 8 – I will finish my plan, and run in my first 5k! Photo Caption: Deborah and I after our first 1 mile race! Next up 5k! ‹ PreviousThanking Donors? Follow your Mother’s Advice!